John Evelyn Sturley, an accountant from Outlook, Saskatchewan enlisted on 30 December 1915 in Moose Jaw with the 128th Battalion, Canadian Expeditionary Force. He was a short, slightly built man with a fair complexion, brown eyes and dark brown hair. The unmarried 24 year old had no previous military training, and he listed his father in England as his next of kin. How did this seemingly unremarkable enlistee become a Frontiersman, decorated for distinguished bravery in combat? In 1916 he had transferred from the 128th Bn. to Moose Jaw’s 210th Frontiersmen Battalion. This Frontiersmen battalion is reported to have been looking for the genuine cowboy, men skilled in the outdoors trades, sappers, engineers, veterans with at least 3 years army or navy service – men who were use to hardship and cold. Reports clearly indicate that the 210th Frontiersmen were getting large numbers of these recruits quickly. The man tasked with raising that Frontiersmen battalion was Lt. Col. W.E. Seaborn, also of the 128th Battalion. Obviously Lt. Col. Seaborn knew a good soldier when he saw one, and he must have made sure that Sturley was also transferred from the 128th Bn. Natural leadership, an exceptional aptitude for soldiering, and the intelligent organizational skills of an accountant, were probably the perfect combination of traits needed for the rapid formation of a new battalion. Sturley had the needed skills to co-ordinate the chain of command, and manage the veteran NCO’s so that they could get on with the training of the Frontiersmen. Within a short time J.E. Sturley was the acting Sergeant Major of ‘A’ Company. By the time the Frontiersmen embarked overseas in April 1917, Sturley had become the Regimental Sergeant Major of the 210th (Frontiersmen) Overseas Battalion, Canadian Expeditionary Force. Upon arrival in England, these Frontiersmen from Canada’s prairie were placed in a Holding Battalion. Unfortunately, the Frontiersmen of the 210th were then broken up and re-assigned to a variety of units including a Remount Depot, the Canadian Railway Troops, the Forestry Battalion and some officers to the Royal Flying Corps. All NCOs must now revert to the rank of private and all officers reverted to the rank of lieutenant when reassigned. The 1920 regimental reunion booklet of the 210th CEF points out that 75 % of all personel went to 46th Battalion CEF and to the 1st Canadian Mounted Rifles within a month of arrival at England. The RSM of the 210th Frontiersmen who had reverted to a private soldier as did all reinforcement men, was assigned to the 46th Battalion (now perpetuated by the Saskatchewan Dragoons). It became labelled the “Suicide Battalion” because of the 91% casualty rate — 4,917 soldiers of the total 5,374 who passed through this battalion were either killed or wounded. Of the total number of Frontiersmen assigned to the 46th Bn, 52 were killed in action or died of wounds, 127 were wounded, and 3 were taken prisoner of war. No report regarding Frontiersmen in the 1st CMR is known to exist. Subsequent to the VC recommendation, this former Regimental Sergeant Major of the 210th Frontiersmen Overseas Battalion was awarded the Distinguished Conduct Medal. Aylott, F.G., “A Short History of the 210th Bn. (Frontiersmen)”… 1984. 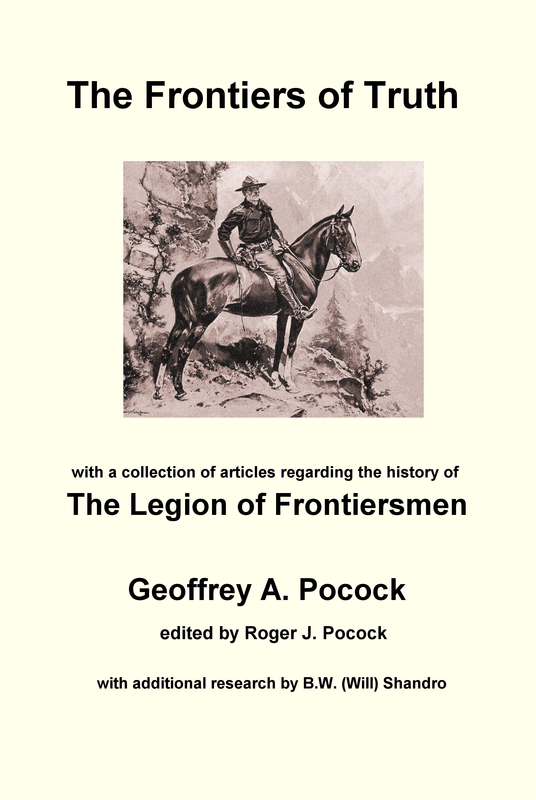 Mack, Brigadier A., History of the Legion of Frontiersmen… circa 1970. The Frontiersman, (regimental magazine) Vol.1, No.2, December 1916. “Attestation Papers” (Canadian Soldiers of the First World War). 210th Battalion Nominal Role… 1917. Article © 2002 – 2010 Barry William Shandro. All rights reserved. This article may not be reproduced in any form, in part or in full, without prior permission.